Imagine cycling for 72 hours, covering 1,000kms in all! After just ten kilometres, your muscles will be aching, palms will be numb and bursting with blisters, and your bum will feel like you are sitting on hot coal. But that’s exactly what 43-year-old Lee Yee Seng did – and all for a good cause. Lee is the president of Malaysia Lysosomal Diseases Association (MLDA), and he undertook the cycling campaign to inform and educate the public, media and especially the government, about the rare disease. 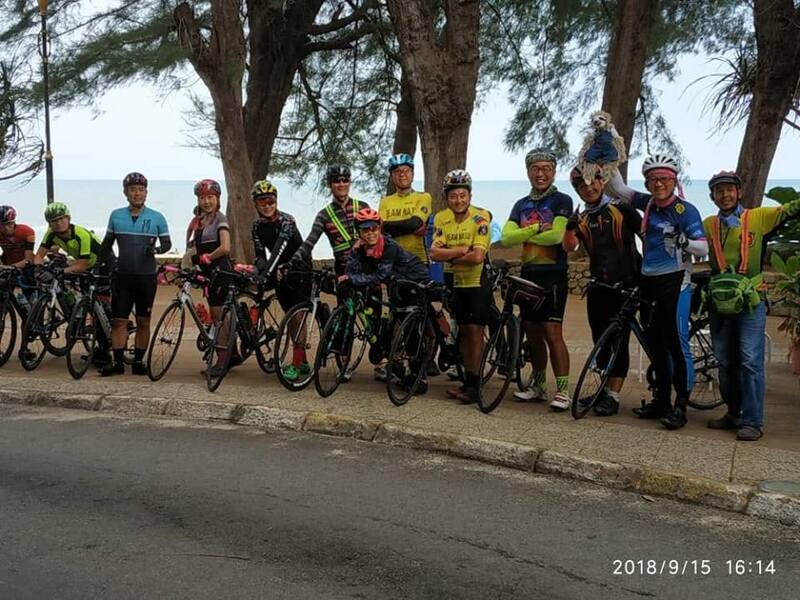 A father of two daughters, both suffering from Pompe disease, an autosomal recessive metabolic disorder which damages muscle and nerve cells throughout the body, Lee began his cycling marathon at 8.30pm on Sept 14 in Semenyih. Over the course of the next 72 hours, he cycled 1,000km through Mentakab, Kuantan, Mersing, Kota Tinggi, Skudai, Pontian, Batu Pahat, Muar, Melaka and Seremban, before completing the grueling marathon at Semenyih again at 8.36pm on Sept 16, almost exactly 48 hours later. He had originally planned to complete his journey in 75 hours but managed to do it three hours earlier, thanks to his grit and determination to succeed for his cause. 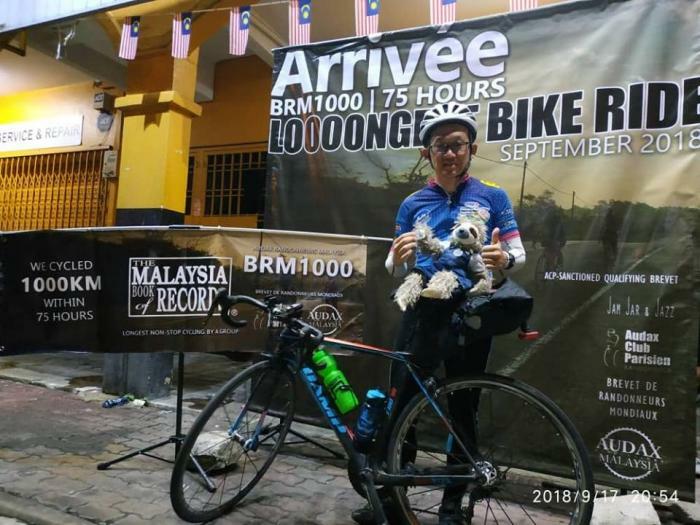 Accompanied by a number of cyclists along the route, Lee’s effort has been recognised as the longest bicycle ride in the Malaysian Book of Records. Asked why he did what he did, Lee says he felt responsible to fight for the rights of all Lysosomal Storage Disease (LSD) children in Malaysia. He also wants to do his best for all LSD children, believing that “no one should be left behind”. Even though he had minor injuries on his hands, Lee says he was pushed by his belief to create awareness about rare diseases in Malaysia. He says continuous funding and support for such ailments is crucial to avoid death resulting from delayed treatment or treatment ceased due to lack of funds. As part of this campaign, seven videos of the Lysosomal Storage Diseases (LSD) families have been shared in MLDA’s Facebook page to show the efficacy of Enzyme Replacement Therapy (ERT) for some patients who have already started the treatment as well as stress on the importance of early medical access to prevent death. “In 2018, the Health Ministry allocated a special budget of RM10 million for 10 LSD patients who started the medication in HKL and are progressing well with the ERT. However, ERT is a life-long treatment, with the patients needing continuous support in 2019 and the years thereafter. “We hope the government will bring hope to this group of patients by creating a sustainable medical system, which is the National Social Insurance Reimbursement Scheme. “Only this scheme will be able to protect all patients suffering from rare diseases and ensure no one is left behind,” Lee says hopefully. Along with his loyal bicycle, Lee was also accompanied by ‘Hope’, the sloth mascot of Pompe disease, throughout his 1,000km journey.